Porcelain veneers are a fantastic way to repair or enhance the appearance of front teeth. They can be used to whiten teeth, close spaces and create a great smile. Using veneers, we can even perform virtually “instant orthodontics” to straighten crooked teeth and give you the bright smile you always wanted. Porcelain veneers are thin shells custom-made in a lab and applied to the teeth. They require two appointments: one for taking an impression, and a second for preparing the natural teeth and placing the veneers once they have been created. Lumineers are a new kind of porcelain veneers that are so thin they don’t require any tooth-buffing before placement. 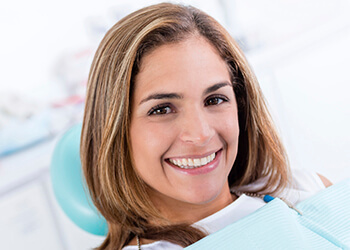 At your first appointment, one of our NYC dentists takes an impression of your teeth so he or she can create veneers that are appropriate for your individual smile. During your second appointment, the natural teeth that will be receiving veneers are “buffed” or “shaved” a very small amount to compensate for the added thickness of the veneers, so afterwards your teeth are the same size as they were before. 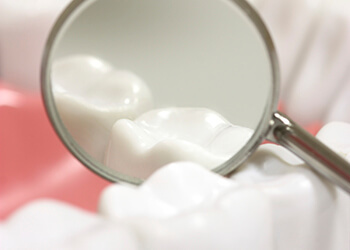 Our dentist holds the veneers to your teeth to confirm that they’re the correct shape, size and color, and then he or she bonds the veneers in place with the help of an etching solution and a special light. The veneers will last for about 10-15 years. Oftentimes, it is possible to “try on” your veneers first with a temporary cement to see how they will look. Ask our dentists about this option. Veneers offer several advantages over crowns; veneers are more durable, often do not require much (if any) removal of the natural tooth material, and will not stain or change color-and they tend to cost less.